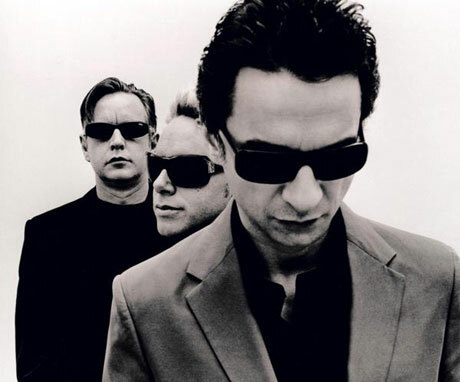 If you've been keeping an eye on Depeche Mode these days, you'll know that the band have been cancelling concerts left, right and centre during the last month. Up to now, the tour woes were being blamed on front-man Dave Gahan suffering from a particularly nasty bout of gastroenteritis. However, today news emerged that he was dealing with much more than just some evil stomach flu. According to a new statement from the band, medical tests revealed that Gahan in fact had a "low-grade malignant tumor in Dave's bladder, which has since been successfully removed." Gahan is a trooper, though, and the band's Tour of the Universe will resume and get back on schedule on June 8. The European dates up to then, however, have all been postponed, with the band currently in the process of rescheduling several, but not all, of the shows. And yes, at this point, the North American leg of Depeche Mode's tour is all going ahead as planned, including the shows in Toronto on July 24 and Montreal on July 25. "Every effort continues to be made to reschedule these shows and more time is needed to resolve venue availability and routing," the band says in the statement. "A final decision is expected early next week, at which time a statement will be made with regards to either a rescheduled date or final cancellation." To check out what Depeche Mode's amended tour itinerary now looks like, you can click here.